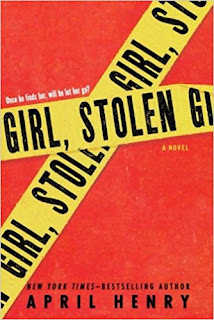 Girl, Stolen by April Henry (and it's got a sequel, Count All Her Bones) reminds me of those times, and I know I would have loved it. The protagonist, 16-year-old Cheyenne Wilder, is blind, but while her blindness is a critical part of the plot, it isn't used as a gimmick. It is, however, important to the setup. At the beginning of the story, Cheyenne is waiting in the car for her mother to pick up her prescription from the pharmacy: Cheyenne has pneumonia, so, feeling ill, she lies down in the back seat of the car. The next thing she knows, the car is being stolen with her inside of it. 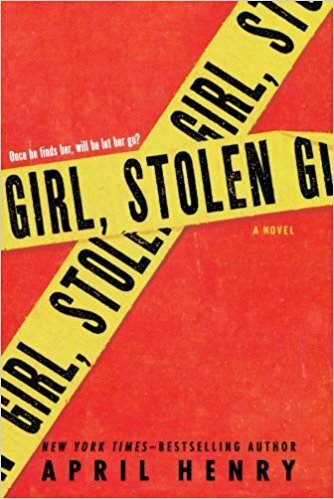 The thief, Griffin, didn't mean to kidnap anyone, just to steal a car, but when his dad finds out who Cheyenne is—she's the daughter of a wealthy executive—he decides to take advantage of the situation. Observations: Cheyenne's blindness is not simply present as a plot device, and I appreciated that. She is a fully rounded character (as she should be) with the skills and smarts to outwit her opponents, and she needs every bit of her moxie in order to succeed against some truly scary baddies. It's also refreshing to have a protagonist with a disability who is placed into an exciting genre plot, rather than a problem novel or issue book or whatever you want to call it. And the sequel was just as exciting as the first book, with a plausible reason for Cheyenne to end up in trouble once again. Conclusion: Fans of Caroline Cooney will enjoy these, too—you don't have to be someone who was a young adult in the bygone era of the last millennium. I promise. 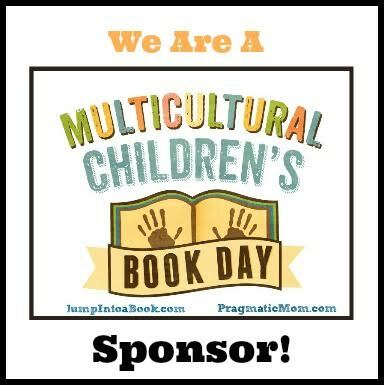 I received my copy of this book courtesy of my library's ebook collection. 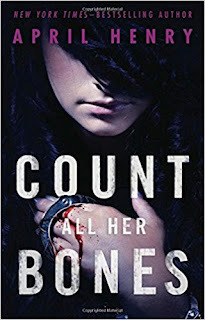 You can find GIRL, STOLEN and COUNT ALL HER BONES by April Henry at an online e-tailer, or at a real life, independent bookstore near you!